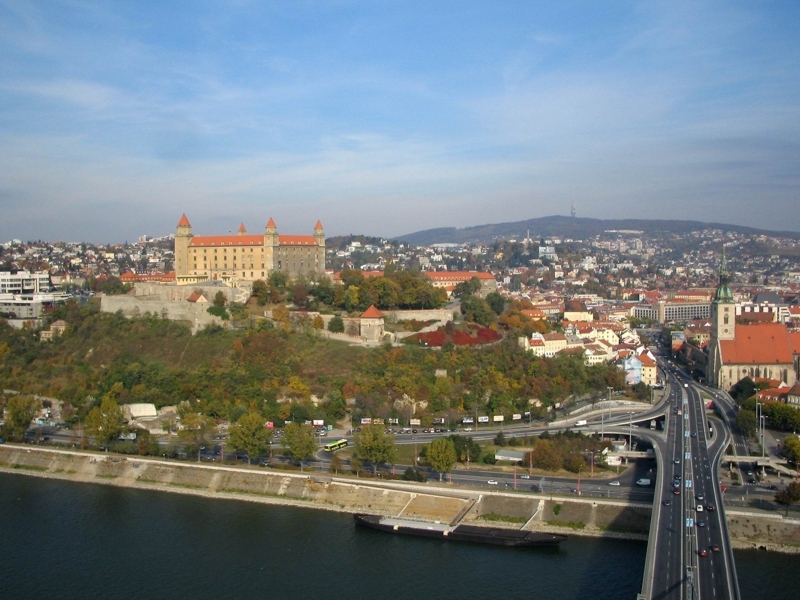 Bratislava guide – „Beauty on the Danube“ – that´s the name Bratislava, the capital of Slovakia, was given by travelers even hundreds of years ago. Our charming, elegant and exciting „little big“ city is waiting for you to be discovered. Let us take you for a small or larger tour around this city, feel and experience its history and recent life with the assistance of our professional guides in a personal and convenient way. Whether you are single travelers or large group, particulary interested in history, culture, archeology, art or just want to have a general idea about the city and the country, let us know, our team is ready to arrange the right tour for you. You can order the tours in various languages: English, German, Spanish, Italian, French, Russian and Portuguese. Please note: Transportation is not included in any of the tours but can be arranged upon your requirement. Duration of every tour can be adjust to your special needs or the time you have. • Take a walk around Bratislava Old Town streets. • Have a coffee at one of numerous caffes on the bank of Danube river. • Touch the head of „Man at work“. • Have a view from UFO restaurant observation point. • Taste slovak traditional food bryndzové halušky and drink slivovica. • Buy „Bratislava roll“ in the oldest shop in town. • Take selfie in front of Bratislava Castle. • See really blue Blue Church. • Have a romantic dinner at revolving restaurant of TV tower. • Have a beer tour around Bratislava pubs.